The peak of the 2013 state level Harvest Festival celebration at Hongkod Koisaan KDCA on May 30 - 31 was one of the most crowded but enjoyable ones, to say the least. If you were to visit Kota Kinabalu this month, this is one that you must not miss. 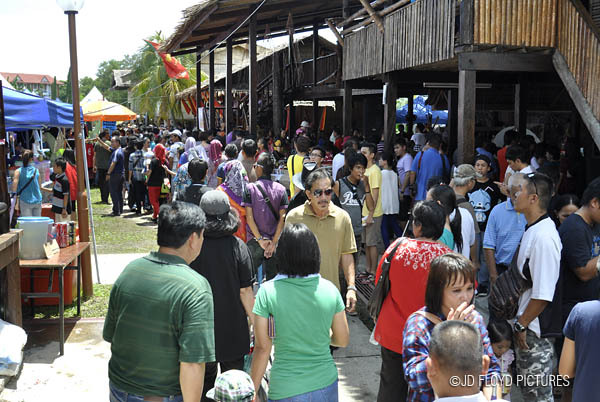 You missed it and you missed one of Sabah's rich heritages. Ethnic Bisaya from Beaufort district. 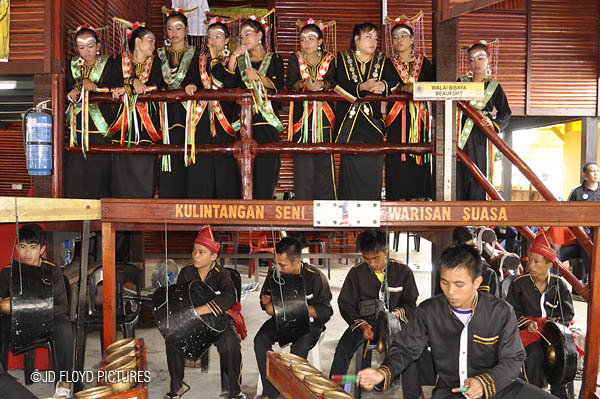 Seen here are young lads playing the kulintangan and gongs. All smile. Ethnic Dusun ladies from Ranau district obliging to a request from a tourist wanting to bring home sweet memories. 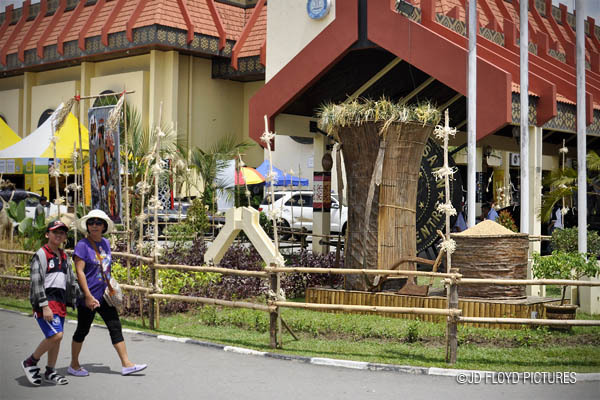 Visitors walking towards the big wakid stuffed with harvested rice and a storage made of wood bark. ..and many many more pictures I can't share here. You have to visit Sabah to experience it. I can assure you this - a two day spend here is well worth your time. That are nice pictures you have there. I'm planning to go to Sabah too. Hopefully i'll be going there next year during the festive. Yes, Sabah is more than just a Mt KK. I shall be there again one day in the future. Wow!Big crowd and Happy Kaamatan! beautiful culture. i'd love to visit Sabah and conquer MK someday.